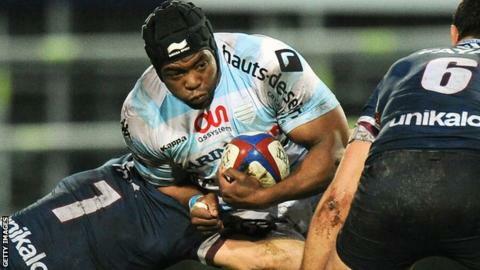 The 30-year-old former South Africa tight-head moved to the Top 14 side in 2013 from Northampton Saints. The Zimbabwe-born forward started his career at South African club Lions before joining Stormers. Sale had been in discussions to sign Samoa prop James Johnstone from Saracens, but he opted instead to join Wasps. He joins Neil Briggs, Peter Stringer and Bryn Evans as new signings for next season.